With café street signs on each corner with the word ‘Açai,’convenience stores stocked with shelves of Brazilian style foods, and with Portuguese possibly being the second official language of Manly; it’s hard to miss (and resist) the Brazilian invasion of one of the most prominent Northern Beaches of Sydney. Many ‘brasileiros’ have made their homes on our insular peninsular, and have happily brought their culinary culture with them. On that, welcome to Brazuca Bar: the gringos guide to Brazilian food. Set in the heart of Manly’s CBD is Brazuca, a popular restaurant known for its homestyle Brazilian cooking. Come in for a lazy Sunday lunch, which features an extensive price per kilo buffet - or indulge in the a la carte menu. For those who want to try something a little different or are completely new to Brazilian cuisine, here are a few of the most delicious choices I have to recommend. Cheese-filled bread? One word: amazing. This bread is made from tapioca flour, which gives it its distinct taste and fluffy texture. Cheese bread is traditionally eaten at morning time, and is a good accompaniment to a meal - or as a quick afternoon snack. This bread is divine. 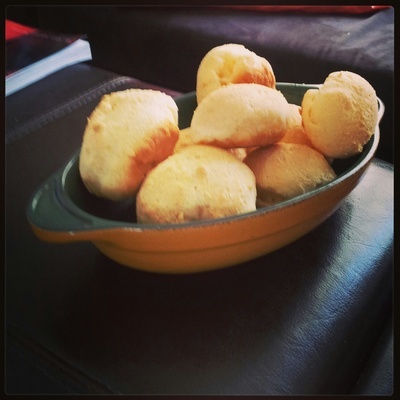 Feijão is a staple lunchtime meal in Brazil. This dish consists of black beans cooked in a pressure pan with herbs and spices. 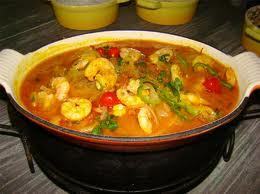 In itself it is a very healthy meal, using no oil during the cooking process. 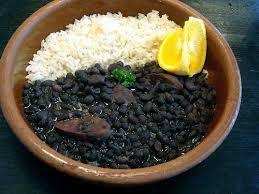 The extension of this is feijoada - where onions, garlic and different cuts of meat (usually pork) are added to the beans. Both are delicious and a must try. Churrasco means ‘barbeque’ in Portuguese, and is a popular weekend family meal for most Brazilians. Different cuts of meat including picanha (rump cap), chicken fillets and for the brave: chicken hearts are cooked. Chicken hearts, when prepared properly have a bit of a chewy taste, yet they're delicious. Don’t think about what it is, just try. All meat is accompanied by a generous dose of farofa (cassava flour) which tastes like bread crumbs. A favourite from the northeastern part of Brazil, moqueca de camarão is basically a shrimp stew, slow-cooked in palm oil, coconut cream and various spices. This is one of the best dishes to try at Brazuca. Be careful to eat in small doses. 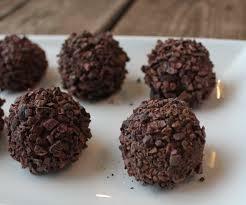 Brigadeiro is like a rum ball minus the rum. This treat is made of cocoa powder, butter and condensed milk. There are different flavours such as white or milk chocolate and even strawberry. Make sure to leave some room for dessert. Açai, pronounced ‘aa-saa-ee’ is a tropical fruit from the Amazon region of Brazil. It is mostly sold as a sort of frozen sorbet, and hence can be the perfect snack on a hot day. 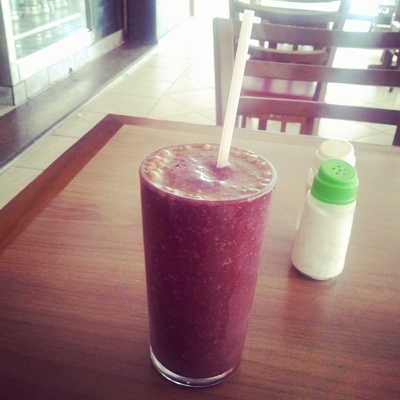 Açai is also a healthy breakfast smoothie with fruits such as banana, or just as great as a dessert. Açai has many antioxidant properties; as well as being an energy booster, and an excellent hangover cure. It is to Brazilians what green tea is to the Asian world. My absolute favourite. Those rum treats. Eat only in small doses. There is so much more to try at Brazuca. This place is a local haunt for homesick Brazilians wanting to enjoy a great feed, as well as novices wanting to spice up their taste buds. Why: Authentic Brazilian food and drinks, with a price per kilo buffet. When: Mon- Tue 6:30pm - 10pm. Good for kids: Buffet is great for fussy kids.